LOUNGE: 16' 4" x 11' 1" (5m x 3.4m) Rear aspect double glazed window, wall mounted radiator, picture rail. KITCHEN: 7' 10" x 4' 11" (2.4m x 1.5m) Tiled floor, chrome towel heater, picture rail, wall and base units with work surfaces over, stainless steel sink and drainer, built in oven and hob with hood over, cupboard housing fusebox, meter and immersion tank heater. 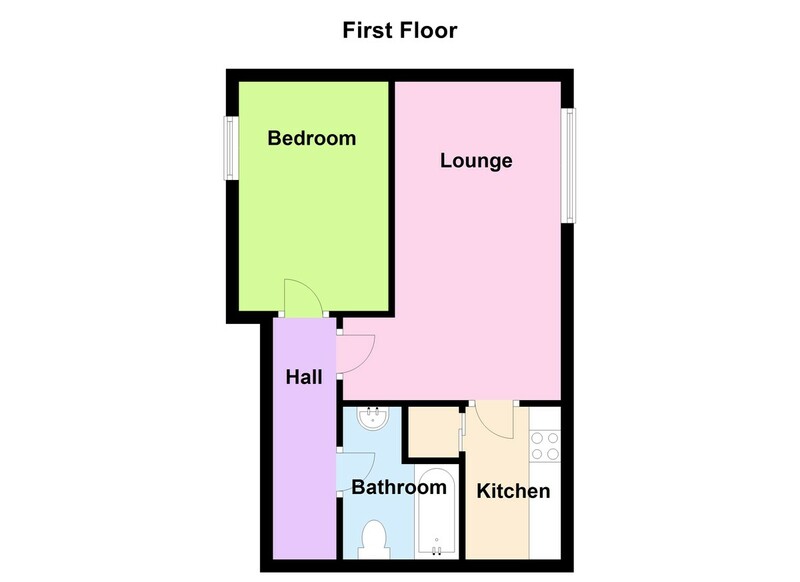 BEDROOM: 12' 1" x 7' 8" (3.7m x 2.35m) Two side aspect double glazed windows, wall mounted radiator, picture rail. BATHROOM: Tiled floor, low level WC, panel bath with electric shower over, wash hand basin, picture rail.